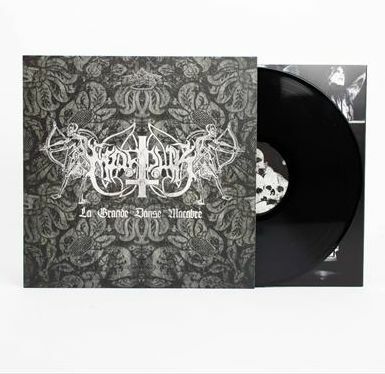 MARDUK - LA GRANDE DANSE MACABRE VINYL (LP) | Online Shop | Wizard LTD. Album: "LA GRANDE DANSE MACABRE VINYL (LP)"
After being out of print on vinyl for quite a while, MARDUK and Century Media joined forces for a reissue of the stunning “La Grande Danse Macabre” album (2001), which presents a more varied and darker approach compared to the Swedish black metal titans’ usual blastbeat-driven full on assault. Created in close cooperation with the band, this re-release features remastered sound (done by bassist Devo Andersson), detailed liner notes, unpublished photos, revamped artwork by Death Wolf vocalist Maelstrom.